Most people know about some of the problems with opioid usage: sedation, risk of addiction, impaired motor skills, to name a few. In truth, there are more problems to add to that list. One of them is the risk of hypotension (low blood pressure)...and perhaps the most deadly side effect of all is the risk of respiratory depression, which can lead to death. A review of literature conducted by Frances Chung, MBBS, and her coauthors reports that the overall prevalence of sleep apnea in chronic opioid users is 24%. The rate of sleep disordered breathing in this population is reported as high as 85%; those who use higher doses (morphine equivalent daily doses of 200 mg or more) show a 92% rate of ataxic periodic breathing. This reiterates the need for primary care and pain management physicians to be aware of this very serious problem. In this way, the CDC guidelines helps to bring this issue front and center, and that's exactly where it belongs. You can read the original article here. 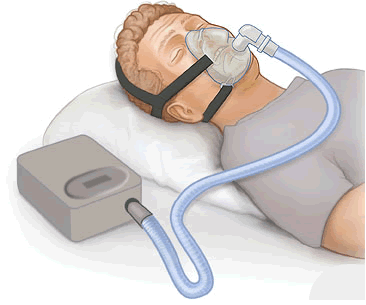 You can read the Mayo Clinic's patient information on sleep apnea here.